Owen Sound Ontario is a small city on the coast of Georgian Bay. Its a city that mixes the easy breezy small town cottage life with the needs of a working city. You see contradictions like the cottages along Balmy Beach and the working harbour on the sound itself. Its the turning point along Georgian Bay, where the Bruce Peninsula gives way to ski country. For our family most of the time we spent in Owen Sound was at the end of the summer. When back to school shopping sent us to the closest city we could find. But Owen Sound's charm extends past the downtown shopping strip. Georgian College has a campus here and there is Billy Bishop Airport. 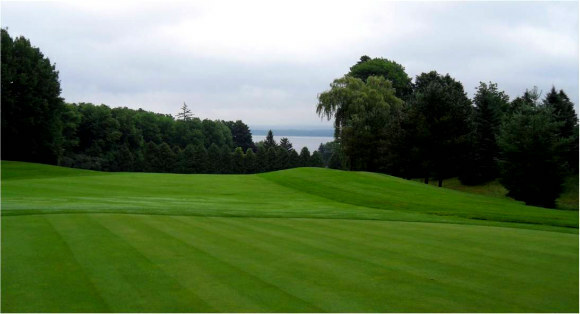 Challenging, historic golf courses and Tom Thompson Art Gallery. There are two marinas, though one is private. 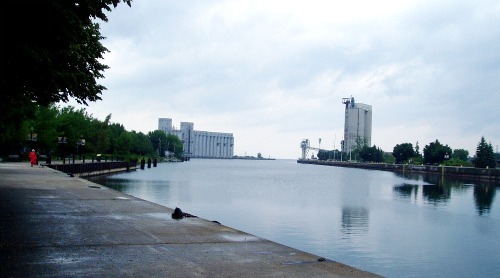 There are multiple museums, Grey Roots, Billy Bishop and the Marine and Rail Museum are the most prominent. The contradiction between small town and big city continues with a big city paper (the Owen Sound Sun Times) and festivals ( Owen Sound Celtic Festival) meeting fishing derbies (Owen Sound Salmon Spectacular). Owen Sound has one of the few remaining and operating drive-ins. Though open for a shorter season, than an indoor theater the Owen Sound Twin Drive in offers an experience no longer available in big cities. If you are looking to stay in Owen Sound there are a number of hotel options including the Days Inn Owen Sound. There are also cottage rentals in the Balmy Beach area or you can camp at the local KOA campground. Return HOME from Owen Sound Ontario.